Kriti Sanon is in high spirits enjoying the success of her Bollywood debut 'Heropanti'. 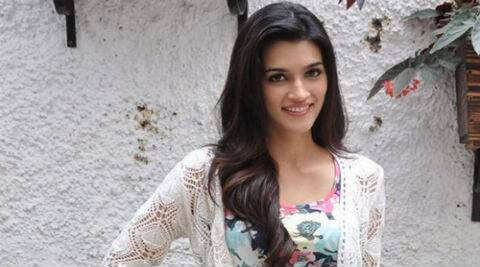 Kriti Sanon: I believe in love in its purest form. After achieving stardom in the world of South films, Kriti Sanon is now in high spirits enjoying the success of her Bollywood debut Heropanti. Though she believes that her first step towards her dream is a success, Kriti accepts that it wasn’t easy to take up acting as a profession. Being an engineer by profession and considering the fact that she comes from a complete non-filmy background, she did encounter her fair share of struggles. “It was difficult initially since my father is a C.A and my mother is a professor. When I completed my engineering, I had two job offers through placements and it was tough to make my parents understand that I have completed my B.Tech but didn’t want to take the job and that I wanted to move to Mumbai,” says Kriti.